(Bloomberg) -- When Amin Nasser met investors at the palatial St. Regis hotel in midtown Manhattan last week, the chief executive officer of the world’s biggest oil company had one clear message: we’re in a league of our own. A week later, it’s clear the bankers believed him. Aramco sold $12 billion of bonds yesterday in what was one of the most oversubscribed offerings in history. In an incredibly rare turn, demand was so high that the company was able to borrow at a lower yield than its sovereign parent. 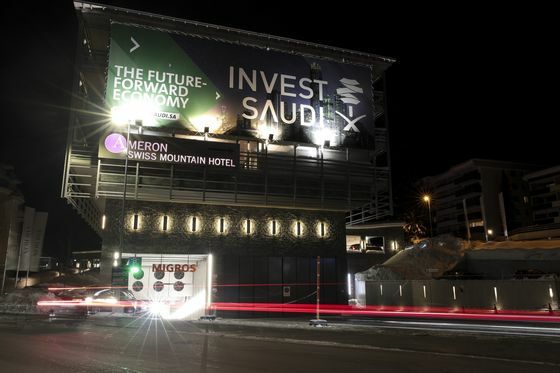 More importantly, the sale demonstrated Saudi Arabia’s return to the global capitalist fold after being ostracized over the assassination of Jamal Khashoggi last year. Collectively, they delivered what Crown Prince Mohammed bin Salman presumably wanted: a blockbuster deal, attracting almost $100 billion in orders, that was so sought after it actually reduced overall borrowing costs for the kingdom. The success of the bond roadshow was in contrast to their efforts on the IPO, where most investors balked at the suggested valuation of $2 trillion. While equity investors were anxious about oil prices and dividends, the bond traders cared more about yields and a pristine balance sheet. Aramco was able to deliver on both. As Aramco priced the bonds in New York on Tuesday evening, Nasser was back in the kingdom for a dinner with the Society of Petroleum Engineers. Abdullah Jum’ah, who ran the company from 1995 to 2009, welcomed him back home as “the $100 billion man”.